The new cable-stayed bridge will have three slender single column towers and will be 2.7km long, including approach viaducts. 30,000 tonnes of steel will be used in this project to build the longest three tower cable-stayed bridge in the world. 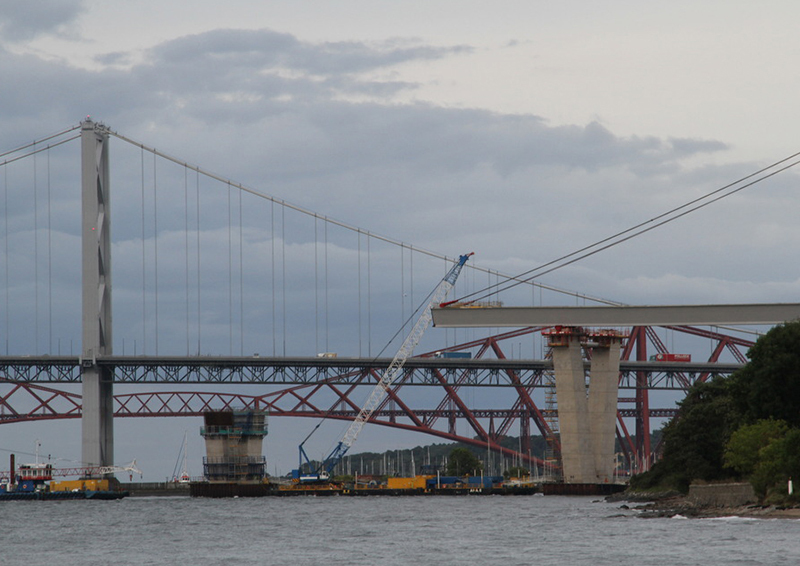 The bridge deck will carry two general lanes of traffic in each direction and hard shoulders to ensure that breakdowns, incidents and any maintenance works do not cause the severe congestion which is currently experienced on the Forth Road Bridge. Construction of the new bridge is now well under way and the talk, by those directly involved, describes current progress with the construction. It is the Branch’s fourth annual presentation on progress with this key project.